The Glasser & Parker shop in High St. 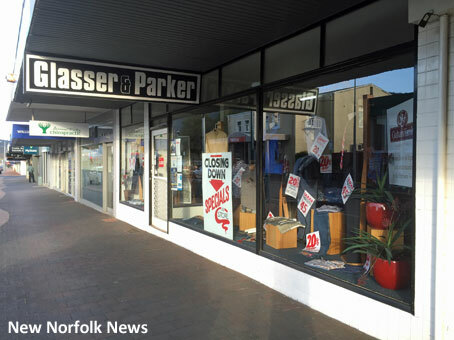 THERE has been widespread regret at news that New Norfolk's last clothing shop is to close. Now trading as Glasser & Parker, the business at 41 High St was established by the late Ron Williams as a menswear shop in the early 1950s. A prisoner-of-war during World War II, Mr Williams was in the process of remodelling the shop when he won the Tasmanian Lottery in 1954, sharing first prize with Merv Clark and fellow PoW Stan Marshall. After outfitting several generations of men and boys, the business branched out into womens' clothing in 1999. In 2002 it was announced that the shop would closed, but this was averted when the business was taken over by Les Lees. Ownership changed again several years later and for the last decade the shop has been a branch of the well-known Hobart firm Glasser & Parker. It has been announced that the owners of Glasser & Parker are to retire and all three stores will close by January. A closing-down sale is now taking place. 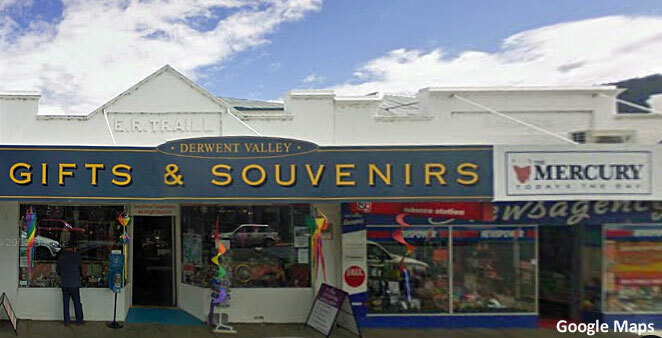 Derwent Valley Gifts & Souvenirs. A closing down sale is also in progress at Derwent Valley Gifts & Souvenirs at 46 High St but it is understood that another business will take its place.